In the construction industry, an estimator is the person responsible for compiling estimates of how much a product or service will cost. The estimator’s job involves assessing material, labor, equipment and analyzing different quotes from suppliers and sub-contractors. Estimators might work starting from a bill of quantities, which outline the base requirements of the job, or just a set of drawings from the client. They are the backbone of a construction company and have the duty to maximize the revenue of the bid. Given the importance of a construction cost estimator’s job, which directly affects your revenue, we develop STR Vision CPM to enable them to perform well, and to get things on their radar faster. The introduction of BIM concepts has led the estimation to be more comprehensive and visual with the ability to quickly control objects that still need to be estimated. The technology available and CPM visual engine allow you to make the quantity take off directly from the 3D drawing model created as an IFC file. The file contains the properties you need in order to estimate single objects managing a huge variety of complexity as it could have not been possible to do until today. If you have already calculated an estimate from a 3D model, but the model has been redesigned with alterations you could easily import the new 3D model and decide which changes you accept or not in order to calculate a new estimate. We facilitate the job, because your time matter. 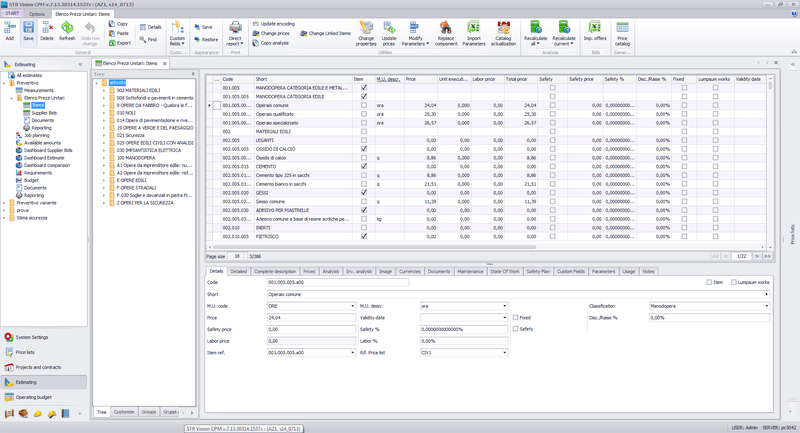 Moreover, imagine if you could create a series of rules using the available software, which could be stored and applied to create new estimates automatically. That is exactly how STR Vision CPM works. In fact, in STR Vision CPM the rules created are a relationship between single object properties, its material and its price. Applying these rules on mass allows you to save a significant amount of time during the construction-estimating phase. Get it done faster and with more accuracy with STR Vision CPM! RIPL is a software company with an aim to provide comprehensive and state-of-art software service to the ACE Industry. Our domain and technological expertise enables us to provide our customers effective, Hi-end business driven solutions by undertaking consulting assignments and offers end to end BIM services, support and training, and Graphisoft Archicad license across the region.